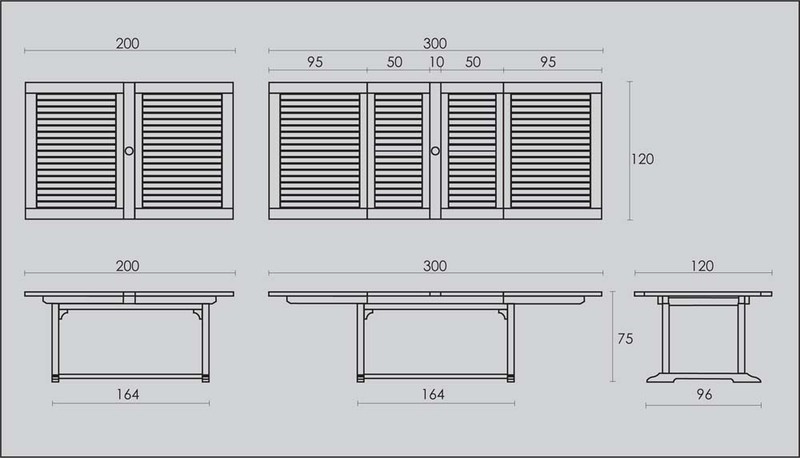 Our largest garden dining set which seats up to 12 people is perfect for outdoor entertaining. The Barbuda table is made of premium solid teak, is extra wide at 120cm and extends from a large 200cm to a massive 300cm. The table is substantial, heavy and built to last. The table extends using two butterfly leaf extensions which neatly fold under the table when not in use. Includes 8 wide Trinidad stacking armchairs which are chunky and durable. The chairs are a perfect match for the Barbuda table and stack 4 high when not in use. 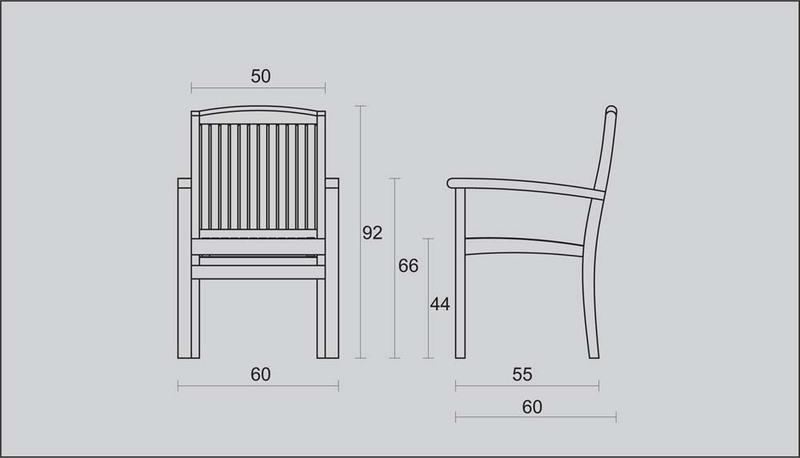 This garden set is fully machine using solid close grained teak for a very long life and comes with stainless steel parasol cover plate and fittings. 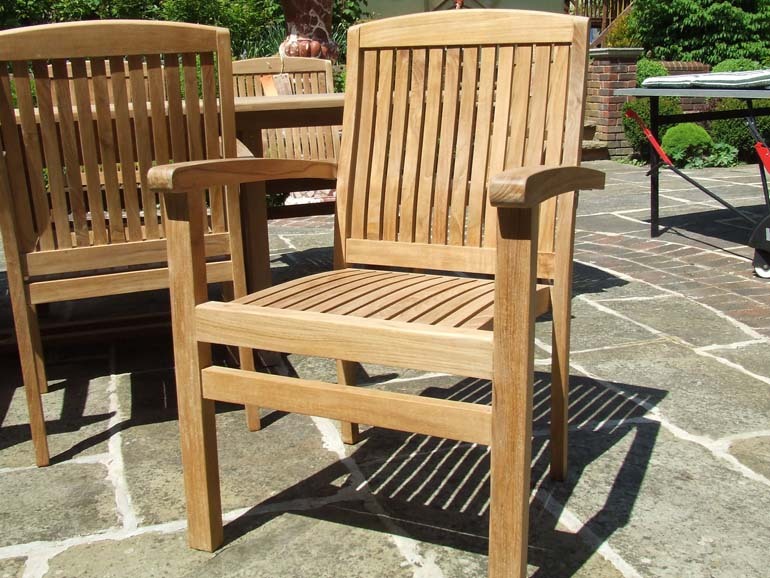 The teak used to make this set is gathered from sustainable and legal plantations. Exceeded our expectations on every level. Well done. As you can see, the set is now two years old and its PERFECT! Weathering really nicely just as we hoped it would! Stunning!